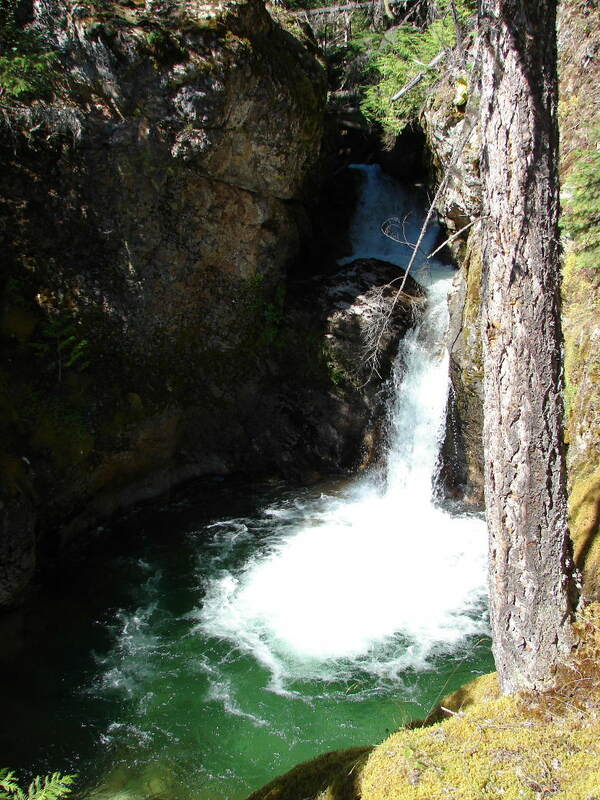 Springer Creek, at the midpoint of the Slocan Valley, drains a watershed between larger Lemon Creek to the south and Enterprise Creek to the north. It is a creek of huge recreation and spiritual value, whose beauties are worth preserving and its damaged portions worth restoring. Springer Creek Restoration and Preservation Alliance (SCRAPA) promotes environmental stewardship of the Creek as the best way to create sustainable communities. In the upper watershed, above Springer Creek Forest Service Road (FSR), there are numerous abandoned mine sites which need to be studied for possible impacts on the Creek. In the middle watershed, between the Springer Creek FSR and Highway 6 the amazingly beautiful Springer Creek Canyon needs to be preserved for the future. Along the lower Creek between Highway 6 and and the outflow into Slocan Lake, lies the Village of Slocan, and the former saw mill site on the lakefront. Here the Creek was altered to flow through a tunnel and treated-timber channel. To re-establish fish habitat, the Creek needs to be restored to its original condition. SCRAPA welcomes questions and comments. Please contact us at springer.creek.restoration@gmail.com or on facebook.